Fish ball, Kikiam, Calamares, Squid balls are the most common food on-stick that can be seen in anywhere in the city and in provinces. It is sold in a small mobile cart by street vendors. 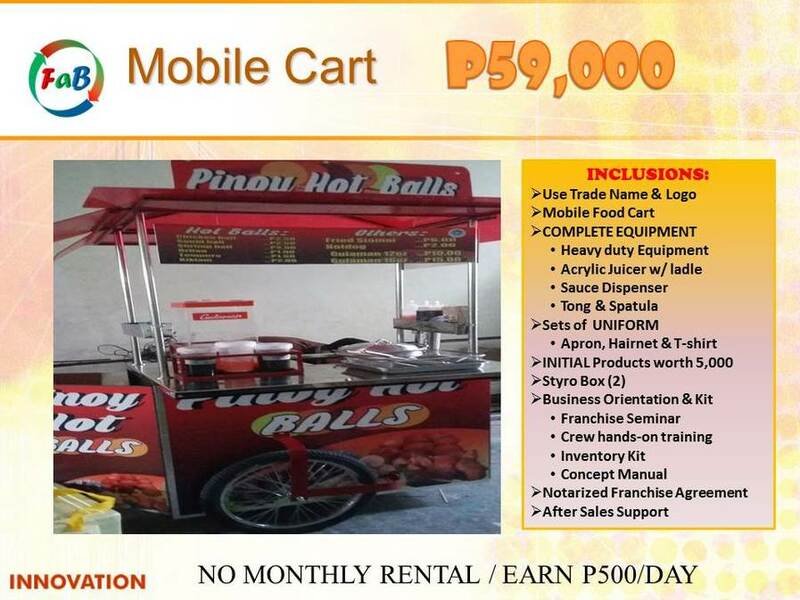 We came up with the idea of making our regular food carts into a attractable mobile cart. The good thing about this business is it don't require monthly rent and can earn up to 1,000 per day. This kind of business ventures require small capital but can generate good profit. ​Office Add: #17A Ground flr. St. Martin Bldg. Westpoint St.